Editor's note: Passengers I and Passengers II are recommended reading before this episode of Endeavour. Dr. McBoy takes a deep breath, clearly audible through the intercom. He doesn’t finish his thought, and the intercom cuts out. I close the book, set my beer down beside me, and lean my head back, looking up at the ceiling. I really, really wonder what’s got him so rattled. We approach the shattered Genesis slowly, Penn moving the Frank meter by meter towards the derelict. McBoy’s briefing was… brief. A Genesis starliner sent out an automated distress call; something Main Line built into their ships, on the off chance catastrophic decompression should happen. From what little I’ve been able to find out, these kinds of calls go two ways. One way, it’s a false alarm. A sensor makes a mistake, something… the nearest Endeavour arrives, and the Genesis is already gone. 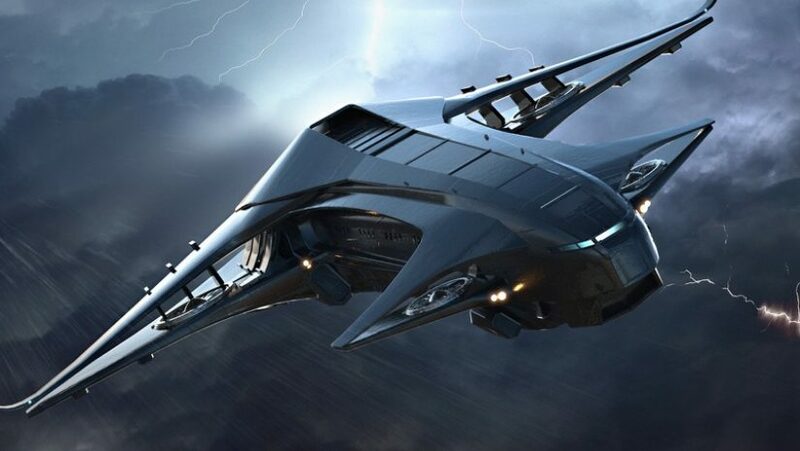 ‘This… wasn’t Vanduul’ Penn says as she glides slowly around debris. She’s flown in to enough wrecks by now to know the difference, I suppose. Penn’s flying us towards the Genesis, Dave Ng, Brihan and I are suited up in level two enviro suits. We’ll be heading out if we find anything. No-one expects to find anything, or anyone. The damage on the Genesis is… extensive. Early scans showed at least eighteen serious breaches, and as we reach the nose of the ship, one of them becomes clear. The cockpit is open, something punched a hole clean through, opened it up to space. Trying to find bodies is a waste. The decompression, the hours it took us to get here… any bodies will have floated well past our reach, the reach of any of the Endeavour’s scanners. We’re all quiet as Penn angles us around to the right side of the Genesis, where scans indicated damage was worst. Spotlights fitted to the Frank throw beams of light across the Genesis’ scarred surface, lighting up a dozen holes. This is going to go down in the log as no survivors, no sign of Vanduul attack… no sign of pirate attack even. No scorch marks, not on the hull… they weren’t hit by gunfire, the holes weren’t blown out from the inside… no indication of what happened. Just a derelict, floating through space, with fifty passengers and crew just… missing. We enter through one of the larger holes, and we pass three bodies on our way to the belly of the ship; three bodies still strapped into seats, that weren’t pulled out when the holes got opened. It doesn’t take us long to navigate down to the cargo hold. It takes Penn even less time to swing the Frank around to the cargo hold when we radio her what we find. Two women, arm in arm, suits out of oxygen. They’re alive. Both of them. 30 seconds later, they’re on the Frank, and we’re working on them. Suits off, oxygen masks on, nanites to speed oxygen to the limbs, hopefully we can save them. We won’t know till we hit the Endeavour, not really. But this is what I came here for. This is why we all came here. With any luck they can survive the next few as well.